Ford, Vauxhall, and Volkswagen were the best-selling cars by manufacturers or marque in Great Britain in 2009. The Fiesta replaced the Focus as Britain’s favorite car. The best-selling car manufacturers in Britain in 2009 were, as in 2008, Ford, Vauxhall, and Volkswagen (VW). The UK car market declined by 6.4% to 1,994,999 new passenger vehicle registrations, the first sub-two million car mark since 1995. In 2009, the Ford Fiesta replace the Ford Focus as Britain’s favorite car. The list of the top ten best-selling car brand in the UK had only two significant changes from 2008. Toyota improved two positions (from sixth to fourth) while Nissan and Renault swapped places (eighth and twelfth). Hyundai was the only new entrant on the list of the top 20 best-selling car marques in Britain in 2009. Korean car manufacturer Hyundai more than doubled its British car market share and moved from twenty-first in 2008 to fourteenth in 2009 at the expense of Land Rover. Top-sselling brand Ford saw a relatively modest decline in volume (-1.91%) but increase market share to 15.86% in 2009 (from 15.13% in 2008). Troubled GM brand Vauxhall saw sales slipped by over 20% while Volkswagen’s sales declined by just over 10%. Renault had another bad year in 2009 in Britain with sales falling around 30% for the second consecutive year. Only Saab (-53.43%) did worse. 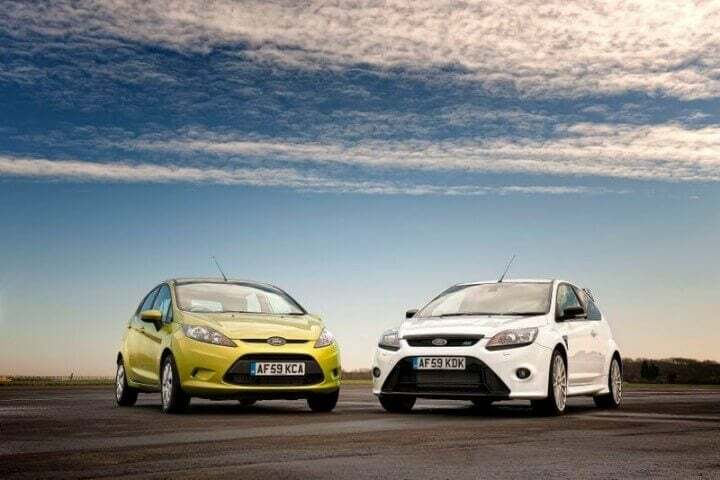 After ten years as Britain’s favorite car, the Ford Focus was replaced by the smaller Ford Fiesta as the top-selling car model in Britain in 2009.